I think that this photo was taken during early 1930s. The gentleman with the large drum is my Great-Grandfather - John Weeks and sitting next to him is my grandfather - Albert Parmenter. 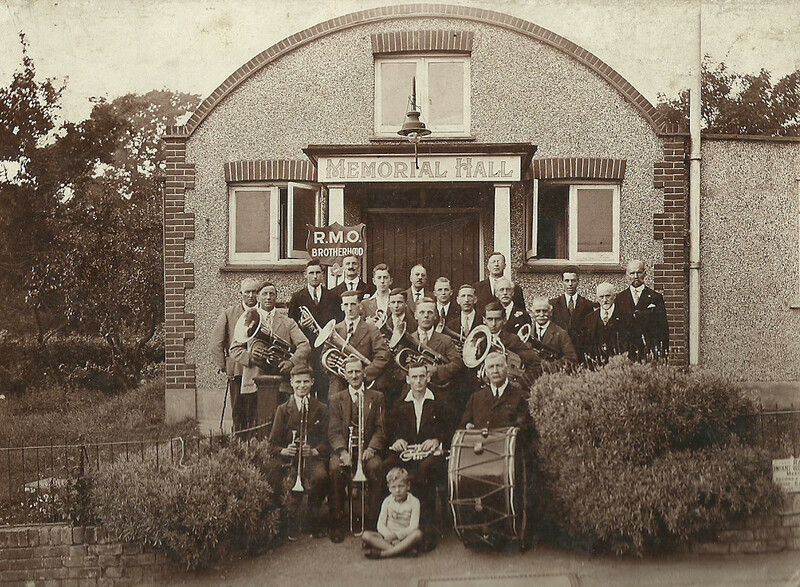 "RMO" stands for Rayleigh Mens' Own Brotherhood (many thanks to Mike Davies for this information). Can you name any more bandsmen?